Hello everyone, and happy Thursday. Wow, the weekend is almost here, what a fast week it's been! My son is playing baseball this weekend at NC State, so I'll be hitting the road for the Raleigh/Durham area tomorrow. So I thought today would be a great day to show off a card I made using a free digi from #JenniferDove. I just happened to be perusing through my blog feed and saw her gorgeous card she made using this image. Head over there to check out her original art and leave a little love before picking up this freebie for yourself. Just4Fun Crafts Blog - Click Here to get this beautiful Boo To You Digi Freebie! After printing out this digi, I noticed the size of these new Gina Marie Designs Slash Stitched Rectangle Dies go perfect with this image. I used the 2 largest sizes from the set. You can find these dies and a ton more at Kat Scrappiness, link to shop below. Click Here to Shop Kat Scrappiness! After I finished Copic coloring the image, I added some Wink of Stella to the "Boo" for shimmer and some Crystal Nuvo Drops on the pumpkin. The black sequins are from the Kat Scrappiness Boo-Tacular Sequin Mix, there are multiple colors in the mix, but I fished out the 2 sizes of the black/grey colored ones. All products, with exception of image and May Arts ribbon were purchased from Kat Scrappiness. So that's it, I've posted a few other angles of the card below. I hope you've enjoyed my project, thank you for stopping by! I appreciate your comments, so, so much! JustRite Papercraft New Holiday Release! Hi everyone! I'm here today showing off some of JustRite Papercrafts brand new products from their holiday release! I started by using Stitched A2 Banner and Rectangle Set, cutting out a piece of Kraft cardstock. I took the tiny deer out of the Small Oval Christmas Tidings stamp set, and created my own background paper with them. I used a white gel pen to draw in the little white circles between the deer. I layered that on a black panel and then on the very light blue panel to really make the deer layer stand out. I cut my snowflake out and layered the sentiment from the Inside and Outside Sentiments set, don't you just love that scripty font? I finished my card off with some twine and light blue enamel dots. I'm quite partial to this color combination. I hope you like my project and thank you so much for stopping! You can click on the photos to take you right to the shop, or just use this link! Click Here to Shop JustRite Papercraft! Happy Monday everyone and welcome fall! Here in South Carolina it's been so hot for so long, our temps have finally cooled down a bit and I'm so happy about that! I'm coming off a big baseball weekend..as a lifelong fan of the Chicago Cubs, I am beyond thrilled that they've advanced to the World Series. In addition, my 17 year old son had a big weekend on the baseball diamond. So I did a lot of cheering this weekend! Today I'm showing you a card I made with some fun products from Kat Scrappiness! I stamped this fun sentiment from Newton's Nook Designs "Fall-ing For You" on a Kat Scrappiness oval stitched die cut and layered on top of another, 1 size larger. I then heat embossed the sentiment using VersaFine ink and clear EP. I fussy cut and copic colored the pumpkins and coffee cup. The papers are by #EchoPark, Fall Is In the Air and the Pumpkin Swag die cut is by #CheeryLynnDesigns. I finished it off with some sequins from Kat's Aww-Tumn Sequin Mix, a pretty wood button and some Twine from Lawn Fawn. You can click here to shop in Kat's shop and find all the product links below. Thanks for stopping! Hi everyone! I'm here today to share a great card challenge with you, I hope you'll consider joining us at Kat Scrappiness for our Cancer Awareness Challenge by making and entering a card with an Encouraging/Supportive/Positive message! That's pretty easy, as cardmakers, we make share lots of that, don't we?! 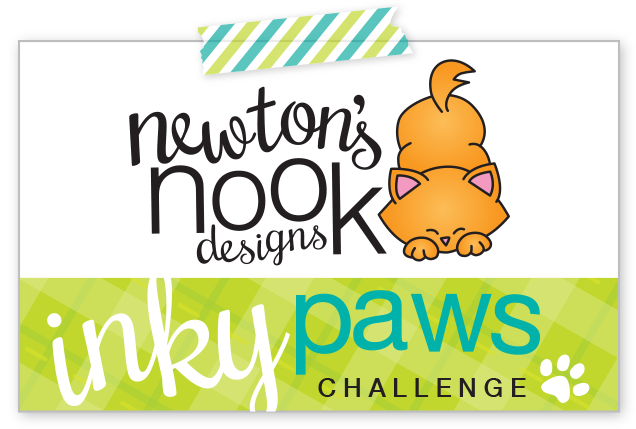 You could win a $20 gift certificate from our sponsor, Newton's Nook Designs!! Check out all their fun new fall releases! 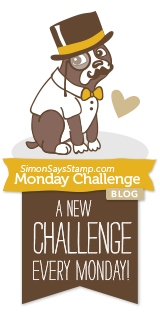 Kat Scrappiness and Newton's Nook Breast Cancer Awareness Challenge - click here! So I started with a 5x5 card base. I stamped the Newton kitty image holding the awareness ribbon smack in the middle of my stitched square. I stamped him again on a full sticky post-it note and cut the image out to use as my mask. I then stamped him twice on each side to create a whole support team of Newton's! I decided to alternate dark and light grey kittens so they'd really stand out. Newton's Support Stamp Set and Kat Scrappiness Stitched Square Dies - Click Here to Shop Now at Kat Scrappiness! Use Code BCA2016 for 10% off your order! Thank you so much for stopping! Don't forget to hop over to Kat Scrappiness to take advantage of the 10% off sale on lots of great paper craft products! Shop Now! Hi everyone, I'm here today with Kat Scrappiness, showing off some fun new dies that are currently in the shop. With Halloween fast approaching, I've been playing around with these cute little ghosts by #CheeryLynnDesigns. Thanks for stopping by! Click Here to Shop Kat Scrappiness!!! Stampoholic Sale! Oct 7th-12th at Kat Scrappiness! Hey everyone, a special sale going on right now over at Kat Scrappiness. If you've been waiting to purchase one of these stamping tools by Stampoholic, now is the time! I have both and love mine as they really help me to get a perfectly stamped image every time! Enter Stampoholic in the search bar to see all three sizes! Hi everyone! Today I'm here with Kat Scrappiness showing off Kat's original die, the Stitched and Layered Christmas Tree! Isn't this a beauty? In fact, I'm so crazy about this die, I've decided to use it for my christmas cards this year! But for now, I hope you enjoy this chilly fall night scene! Shop Kat Scrappiness - Click Here! So for this card, I cut out my tree in MFT Gumdrop Green and distress inked the bottom edge of the layers in Forest Moss. I set that aside and worked on my base. I used MFT Natural as my base color. I then took a piece of MFT Tropical Teal, cut it out with the largest Kat Scrappiness Sitched Rectangle and distressed it with Mermaid Lagoon and Chipped Sapphire. The houses were cut using Lawn Fawn Little Town Border Die in MFT Eggplant cardstock and then distressed with Black Soot at the bottom. Then I ran my town through my Big Shot using the same sized stitched rectangle, so that it would match up with the blue background. I cut my harvest moon with a Stitched Circle by Kat Scrappiness using MFT Lemondrop cardstock and then distressed with Fossilized Amber and a little bit of Carved Pumpkin and Tea Dye. I assembled the background and then added my big pine tree in layers with a foam tape background to pop it up! I worked from the trunk up. I was looking for a sentiment and "Purely Labeled Sentiments" by Mudra stood out. I chose the You & Me, because there's something very romantic about a chilly fall starless sky with a big ol' harvest moon. So, I stamped it out with VersaFineOnyxBlack ink and just hand trimmed leaving a bit of white border. I popped it up with foam tape as well. Lastly, I tied a bit of twine and decorated my tree with sequins that didn't overpower the tree, I wanted the tree to take front and center stage. So, I choose the Mello Yellow mix by Kat Scrappiness. This happens to be one of my very favorite mixes. I love green, I love Mello Yellow and I thought they looked perfect in little clusters all over the tree! These products and more can be found at Kat Scrapiness! Thank you very much for stopping! JustRite Nativity Sentiments Clear Stamps - New Release! Hi everyone, popping in here quick to show you a card I made using one of the new September releases from JustRite Papercraft. As soon as I saw this stamp set, with the silhouette of Bethlehem, I was really drawn to it. First of all, I love stamping silhouette stamps. I love being able to get a super rich coverage using VersaFine Onyx Black Ink. For this card, I cut a rectangle pattern slightly smaller than A2, I #distressink the heavens in #PeacockFeathers and #BlackSoot on the very edges (lightly). I added some little dots with my white gell pen for the stars, but the main star is in the stamp set, and I white heat embossed it to really make it stand out. On the bottom 1/2" or so, I distressed in #TeaDye ink for the sand. I cut a panel about an inch wide and stamped my cityscape on it. I lightly copic colored the windows to make it look like a glow from a flame. I mounted that panel on some black cardstock and popped it up. Lastly I added a few clear sequins. I just love the simplicity of this scene! I'm linking the shop here, so you can check out all the latest products! Thanks for stopping! JustRite Papercraft - Click Here to Shop! Kat Scrappiness Celebrates World Cardmaking Day - Lawn Fawn Goodies! Click Here to Shop at KatScrappiness!! Hi everyone, I'm here with Kat Scrappiness celebrating World Cardmaking Day! 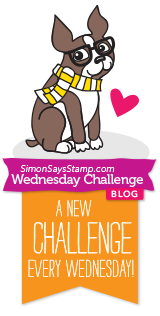 Make sure you head over to the Kat Scrapiness blog and check out the sale, card challenge and chance to win prizes! So today I'm really excited to show you a card I made specifically to celebrate World Cardmaking Day! This is my first christmas card of the year, can it be that time already? Almost everything I used on this card, you can find in Kat's shop. I created my brick background using an embossing folder and then lightly distress inked it in #TumbledGlass. I copic colored all my images and then cut them out using coordinating dies. For my knobs on my stove, I just used a bead of glue and some silvery glitter. I was actually covering up the coloring which I didn't like how that turned out..but I ended up loving the glitter, so yay! I wanted to show you a close up on how I layered my papers and most importantly, the detail of the cut using Kat's stitched rectangle dies. Can you believe that tiny strip of grey cardstock is a piece all on it's own? To do that, I cut a rectangle size of cardstock, just a hair bigger than the cut line on the die. It cut so smooth and perfect! I was actually just playing around and discovered how amazing it would look as a thin frame on my top layer! I popped the whole top layer up using some foam tape. Here's another shot of it from the upper corner! Have you ever seen those Jadeite salt and pepper shakers? I just think they are so cool. It inspired me to make a set of my own. Using the little jars from the set "Sprinkled with Joy" by LawnFawn, I copic colored them to look like Jadeite. I saw the sentiments in the set "CutiePie", also by LF, and the letters looked the right size. I picked out a "P" and an "S", I inked them using #VersaFineOnyxBlack ink and then used a few small pieces of post it to cover everything but my letter I wanted to stamp. Omgosh, I just thought these turned out so cute!!! 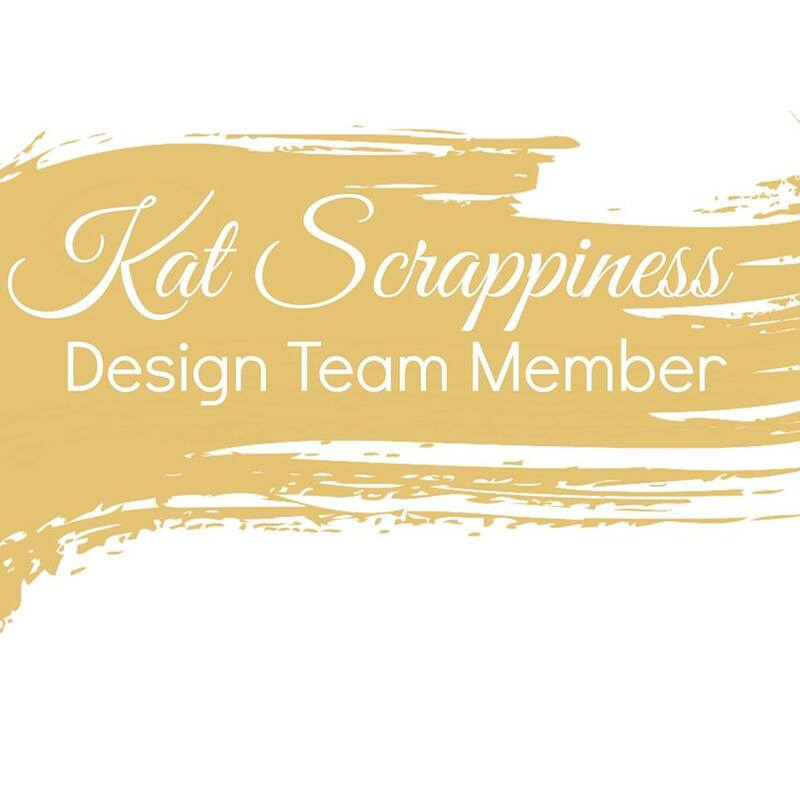 Thanks for stopping by, I hope you're enjoying all the projects created by the talented Design Team over at KatScrappiness! 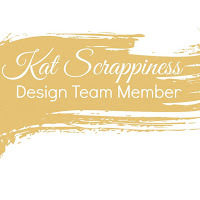 Click Here to Shop at Kat Scrappiness!! !